For some years, GAEL Switchboards has worked in close association with Foodstuffs and Owl Electrical on all New World and Pak N Save stores from Taupo North. Traditionally, specifications have been prepared by Lawrence Jones Partners to meet foodstuffs requirements which include a high level system discrimination and generator back-up to ensure continuity of supply to critical areas within the store. New Zealand Steel commissioned GAEL Switchboards to manufacture two suites of variable speed drive equipment and distribution equipment enclosures for High Bay Cranes in their slab making plant.The contract called for delivery in two parts. First was equipment for the East Crane comprising a main distribution board, main hoist panel, long travel panel, auxiliary hoist panel and cross traverse panel. A month later delivery of equipment for the West Crane was required. “The GAEL team performed beyond our expectations. The engineering team came up with sound technical solutions, kept us well informed on progress and were professional throughout the contract. The witness testing demonstrated a high level of competence and the GAEL people were really good to work with. We would have total confidence in using the team at GAEL on future contracts”. 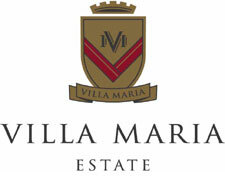 Villa Maria now has a new site located in Mangere which includes warehousing, a bottling store and a barrel store. The contract for the warehouse called for IP65 rated stainless steel cabinets to give protection against “dust and water splashed in all directions”. Stainless steel cabinets were supplied by Rittal and assembled to exacting site requirements by GAEL specialists. United Gooder recently commissioned GAEL Switchboards to supply a 2000A switchboard which was a little bit out of the ordinary. The board had to be interfaced with a Building Management System (BMS) as well as a generator control panel, it has to provide load shedding and power factor shedding… and the system had to be fully automated. The solution came in the form of GAEL’s new ELSTEEL Techno Main Switchboard, complete with Merlin Gerin 2000A air circuit breakers. A steadily increasing load in the Southland area led to the need to expand the Edendale Substation, which in turn required the manufacture of a new 33kV Indoor Switchboard. 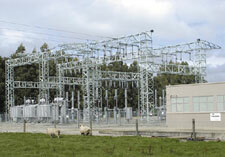 Acting as a sub-contractor to ABB, GAEL provided busbar assembly, low voltage supervisory control and factory testing. The assembly work involved 33kV SF6 circuit breakers sourced from Italy and switchboard housing and busbar componentry from Turkey. GAEL’s role was to manufacture all the low voltage control, assemble the switchboard, fit VT’s and CT’s and carry out all testing. ABB Project Engineer, Alan Brownlie was impressed with the standard of workmanship and on-time delivery to tight deadlines. The success of this project has led to orders for two additional 33kV switchboards and one 11kV switchboard. NZ Blood stores critical supplies of blood under carefully controlled refrigerated conditions, with a monitored 24 hour power supply. In the event of a loss of power, the integrity of the blood stock is at risk after only 20 minutes. So, as you would expect, a back-up generator sits in readiness to cope with any power failure. However, all did not go exactly to plan when a digger operating close by accidentally cut the supply cable causing power failure and a surge to occur. This set in train a sequence of events which rendered the generator change-over inoperable, putting the entire stock of blood at risk. Quick action from the electrical contractor TS Bishop and GAEL Switchboards resulted in the generator supplying power to the refrigerators within just 20 minutes of the problem happening. “It was after- hours and a real emergency, but the GAEL team responded immediately and got the Switchgear sorted in no time…very impressive”. The airport branch of Dickson Gray are often called to do changes or install switchboards at very short notice and with tight shut down times.One such job occurred for Air New Zealand, an Emergency Standby Generator Auto Transfer Switch (ATS) was required for the 24 hour emergency supply. GAEL Switchboards received the NHP enclosure and change over switches Thursday afternoon and delivered the change over cubicle to site Saturday morning for installation by Dickson Gray. Normally delivery would be 2-3 weeks. “The GAEL team acted very quickly to fit and busbar connect the Auto Transfer Switch… a great job, and as per normal done in a very short timescale”.